Black Friday is upon us again. When we decided to join in with the festivities of the day a few years back, we decided we’d make things simple: offer a single great whisky at a great price, and try to bring some joy to the world of internet shopping. Rather than adding another special offer to our already-long list, we’ve bottled a whisky just for the occasion – a great tasting dram that’s incredibly good value and makes Black Friday worth waiting for. 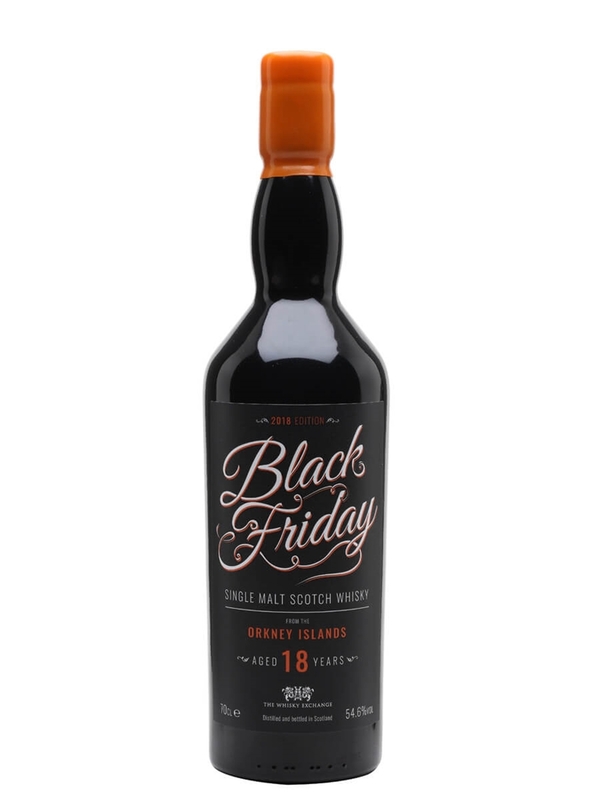 Last year we did our first special Whisky Exchange exclusive Black Friday bottling and it sold out in 20 minutes. This year, we’ve made sure that there’s a bit more of it, but we still don’t expect it to last long. 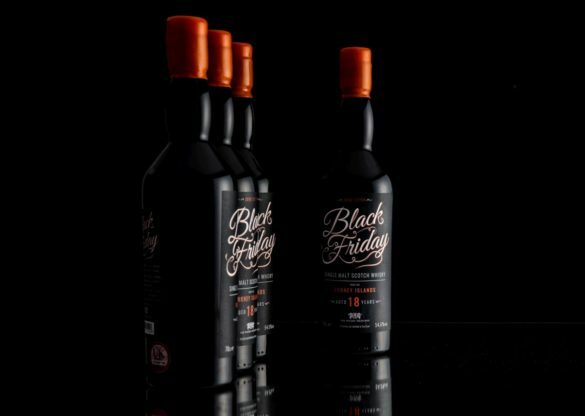 Introducing Black Friday 2018 – an 18-year-old single malt Scotch whisky from Orkney. While I don’t know for sure which distillery it’s from, I’m fairly sure it’s not from Scapa – and there are only two distilleries in Orkney. 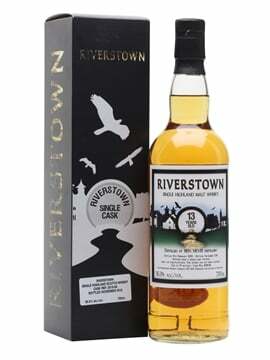 We really loved when we tried it and it was an obvious pick for our Black Friday dram. It’s a smoky dram bottled from refill casks at cask strength – there are 1400 bottles available, including a few that are in our London shops in Fitzrovia and Covent Garden. 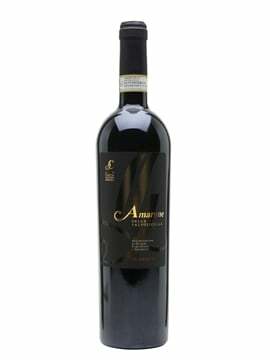 We’re selling it for £69.95 a bottle. 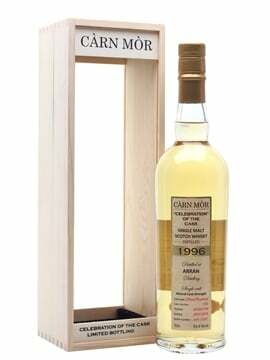 And yes, that is about £40 cheaper than other 18-year-old Orkney whiskies that aren’t bottled at cask strength. 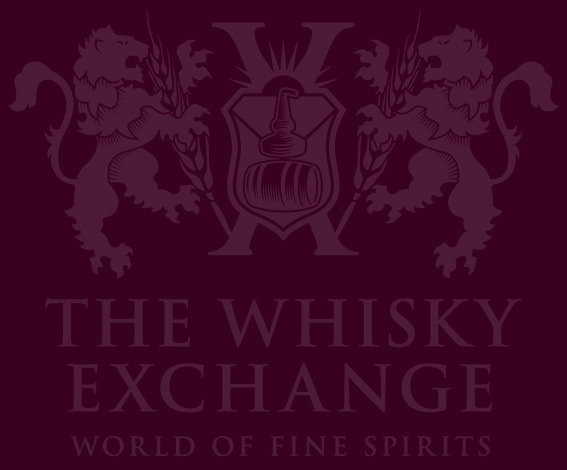 You can buy a bottle from our Black Friday whisky page. Nose: Heather-covered moors on a chilly day. A bonfire’s almost burnt itself out nearby. Crispy leaves and drooping ferns underfoot as you walk home. Coal smoke drifts from the chimneys. Honeysuckle as you walk down the path, and smoky, dusty, bitter-sweet cocoa powder as you open the polished wooden door. Chocolate flapjacks with candied rose petals are on the coffee table, apple pie sits on the kitchen counter, next to a cooling cast iron stove. Soft spice and citrus rise from freshly prepared clove-studded oranges. Palate: It’s tea time. Wax-polished oak tables and sooty fireplaces. Rich orange syrup poured over spiced fruit loaf – nutmeg, cinnamon and mixed peel. Stewed apples and pears with a handful of sultanas. Heather honey and fruity caramel. The chocolate flapjacks return, with even more fragrant flowers. Buttery pastry and coal dust drifts in from the kitchen, where a rich and sticky fruitcake sits, with a plate of liquorice sticks on the side. Finish: It’s back to the meadows. Bracken, gorse flowers and brown leaves crunch underfoot, as a wisp of smoke wafts across the hill. Comment: It’s Kirkwall on an autumn day. Coal’s burning in the fireplace and and we’ve got a serious tea to eat after a walk. It’s much more fun than heading to the supermarket to fight over cut-price TVs. You can buy a bottle over on our Black Friday whisky page – maximum two per customer. If you grab a bottle, let us know about it – we’ll be keeping an eye on #blackfridaywhisky on Twitter and Instagram, and we have both our Facebook page and The Whisky Exchange and Friends Facebook group if you want to talk Black Friday drams.